England - CIRCA 2014: Leeds, UK city business man commuter in suit walks down the road holding a mobile phone and pulling a roller suitcase on a wet day. He turns right onto Queen Street out of shot. hd00:06Businessman in a suit walking down the street, looking at the watch. Steadicam shot. hd00:17Male Mafioso with a big bag and a pistol in his hand, he waits. hd00:17Happy businessman in a suit walking down the street, looking at the watch. Steadicam shot. 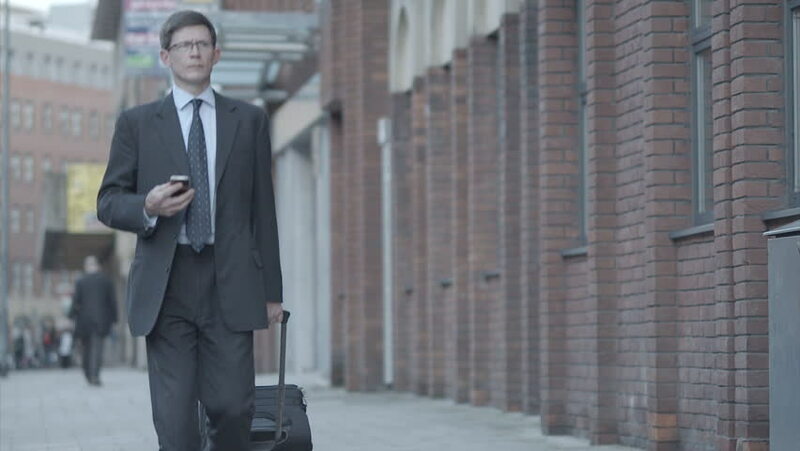 4k00:14Concerned Business Man with a Bag Walk in a Hurry Down the Business District Streets. Shot on RED EPIC-W 8K Helium Cinema Camera. hd00:07Businessman in a suit in a hurry, hi is late, looking at the watch. Steadicam shot.